Listed in National Geographic Traveler&apos;s "50 Best Places of a Lifetime," Kentucky&apos;s famed Bluegrass Region is not to be missed. 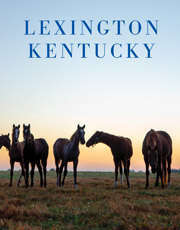 Lexington, Horse Capital of the World, is at the heart of this region of rare beauty, but the region is dotted with charming small towns to explore. Whether your interests are Civil War sites, historic homes, Bourbon distilleries, folk arts and crafts, hiking, bird watching, antiques, horse farms, museums, art galleries or memorable dining, the Bluegrass has a wealth of attractions to discover. 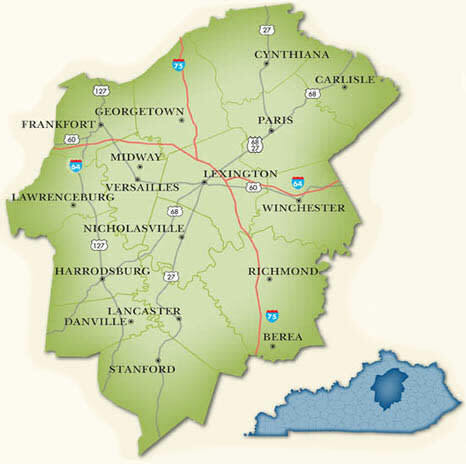 For a listing of attractions on the outskirts of Lexington and Fayette County, see Things To Do>Regional. For the Bluegrass Region website, click here.